The Russian writer Alexander Solzhenitsyn in 1974 admonished his countrymen: “Live without lies!” This applies equally to the West. The Truth in our time is in no-way selfevident. Most official facts about communism are not true. Solzhenitsyn emphasized: “In our country the lie has become not just a moral category, but a pillar of the state.” The facts have been suppressed both in the East and the West. 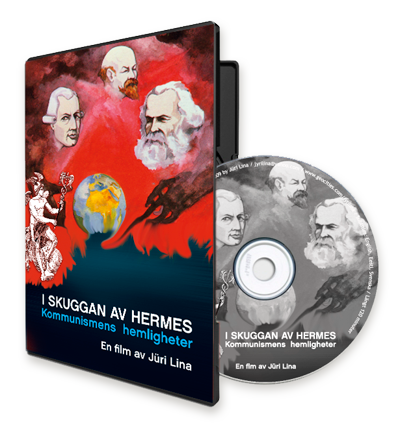 The film “In the Shadow of Hermes” is an important documentation of those financial masonic forces that coldbloodedly worked behind the scenes through communism to profit from the suffering of others. The director, Jüri Lina, stresses that it is his duty to tell the truth about communism and its grey eminences, and not just superficially treat its psychopathic symptoms, while the truth today is not highly valued. The film is in Swedish with English and Estonian subtitles. If you are a resident of the USA, please, send the money via MoneyGram. Or use Western Union. Or use PayPal.